An Altar will be set up at the garden. It will be decorated with ivory coloured chiffon and artificial flowers. A wedding table will be set beneath the Altar and it will be decorated with ivory coloured chiffon and flowers. Ring pillow in decoration colour will be prepared. 2 artificial flower decorations on high metal stands will be placed on the left and right side of the table. The white laquered chairs will be adorned with bow ties made of ivory coloured chiffon. 4 artificial flower decorations on high metal stands will be set up at the bridal walking way. They will be also adorned with ivory chiffon bow ties. A white carpet will be rolled out and red rose leafs will be spread on it. Exclusive professional photographer takes 350 to 700 pictures in JPEG format during the marriage ceremony and wedding dinner reception (CD with unrevised photos will be handed out). The chairs and tables will be decorated with ivory coloured chiffon. Pink or turquoise coloured runners will be on the tables. The tables will be decorated with artificial and fresh flowers and other accessory, under plates with Swarovski will be set up, the napkins will be tied with Swarovski stoned napkins bracelet. Swarovski stoned candles and candle holders also will be set up. 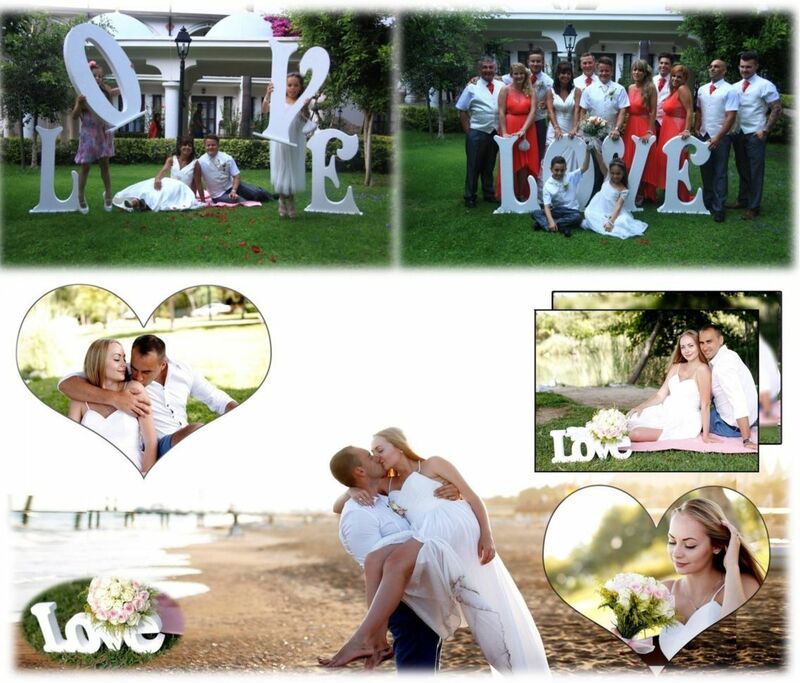 Wedding City Antalya Team will come to the Hotel at 13:00, will serve up to 24:00 o’clock.